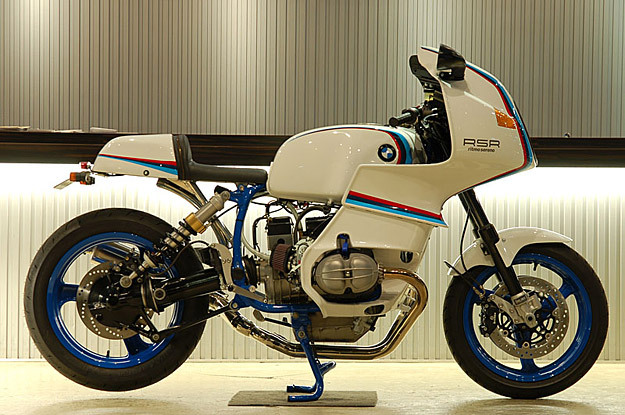 In the mid-70s, the BMW R100RS was the most radical motorcycle you could buy. It was BMW’s answer to the relentless threat of large-capacity Japanese motorcycles, and it came with a seven-part fairing—a new style of bodywork that reportedly reduced side wind deflection by 60% over the standard S model. But it looked a little ungainly, and sales were unspectacular. 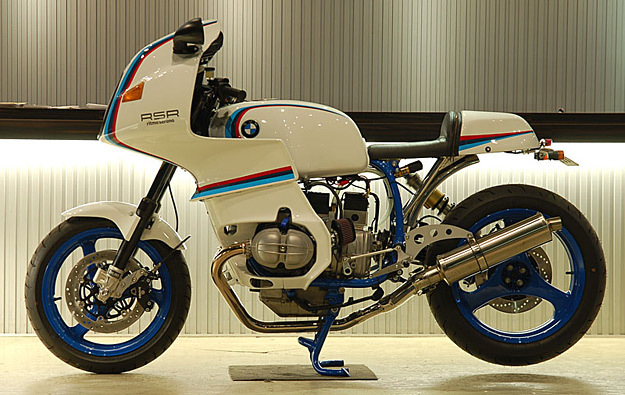 This custom, however, does justice to BMW’s original vision—some 35 years later. 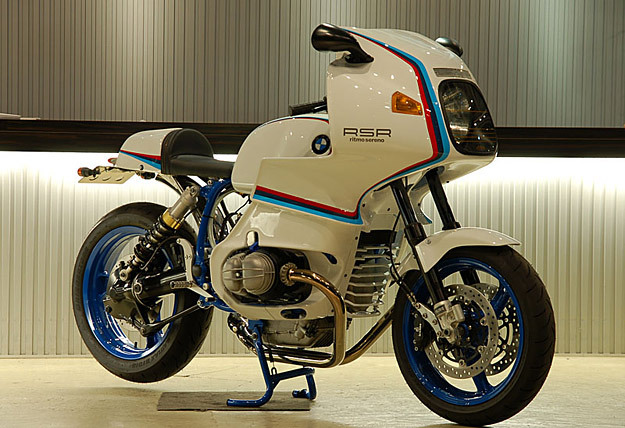 And not surprisingly, it’s from Ritmo Sereno, the Japanese resto-mod specialist. 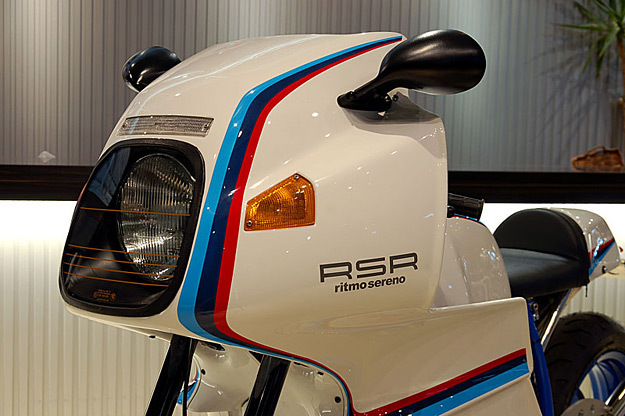 Ritmo’s first objective with its ‘RSR‘ was to reduce the weight down to 190 kg—a substantial drop from BMW’s claimed dry weight of 242 kg. 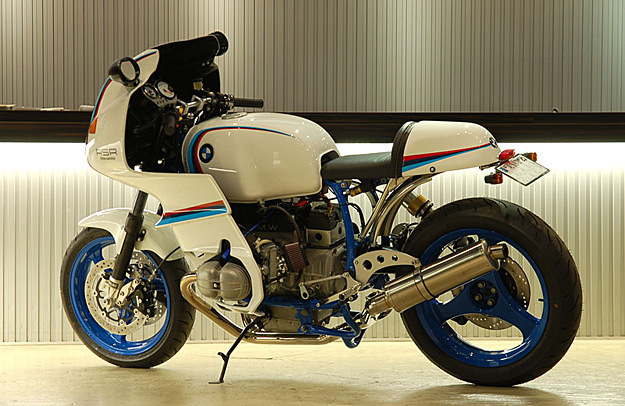 The modified frame is powder coated blue, along with the wheels, as a nod to the BMW HP2. The graphics reflect the colors of the glorious 1970s BMW 3.5CSL Group 5 racing cars. The engine has been ported and polished, and the 2-into-1 exhaust system, painstakingly welded, is in stainless steel. 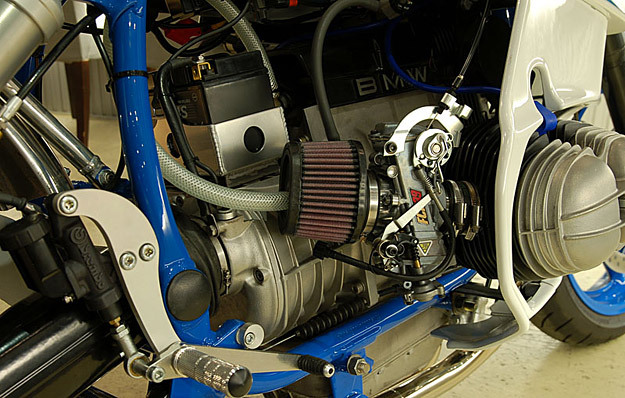 It’s hard to find any parts that have not been modified or lightened; custom work includes the controls, the instrument holders, a new battery box and tweaked Öhlins shocks. The standard RS fairing, which always looked a little heavy, has been modified for a sleeker appearance. Ritmo Sereno has documented the build in detail: even if you don’t understand Japanese, the pictures here are worth a thousand words.